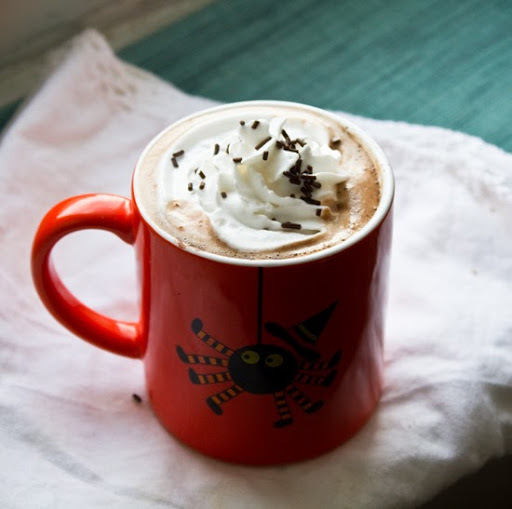 Best Vegan Cocoa? 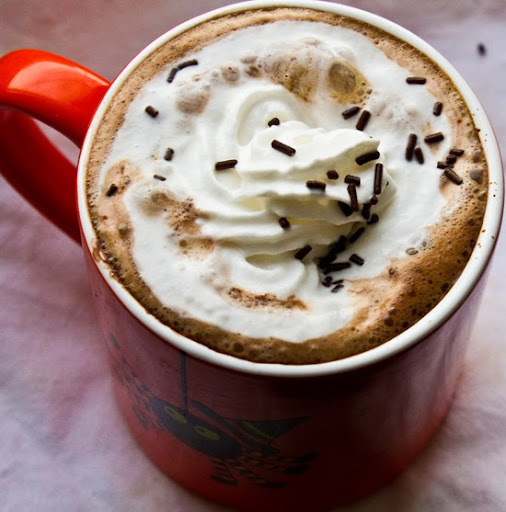 Monday Mocha, w/ whip & sprinkles! Monday morning, at first site, through groggy eyes, I loathe it. But eventually, those blinding sun-rays pull me from my cozy, warm bed and the day begins. And once I stop resisting Monday, it actually becomes quite nice. Of course this special Monday Mocha hot bevie helped move me into a merry Monday mood, rather than a moody one. Go on, make it a Mocha Monday - you know you're more productive when your mouth is smiling! 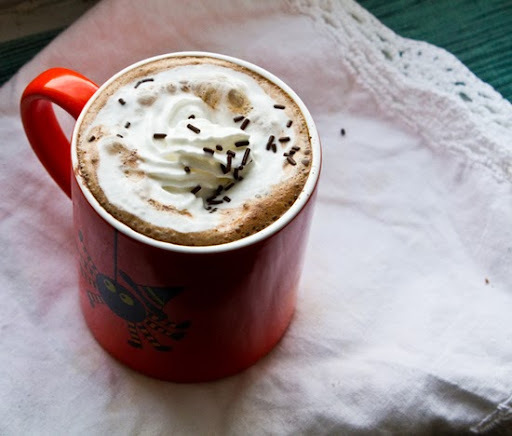 Get my mocha recipe and a look at my favorite vegan cocoa brands.. Healthy Chocolate Fix? While all brands are different, choose high quality, less-processed dark chocolate based cocoa to get the most choco-antioxidants you have all heard so much about. Chocolate on the ORAC scale. Vegan Ingredients. I use Sprinklez Chocolate Sprinkles. More info about them in this post. I used Soy Whip by Soyatoo brand. 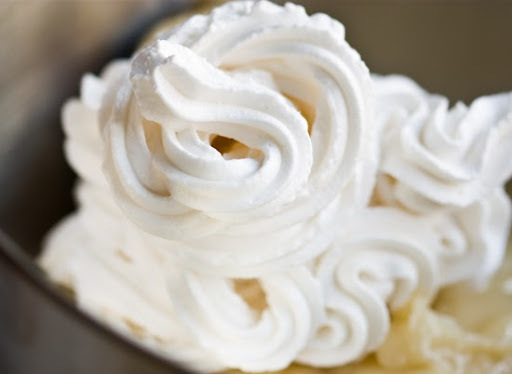 Rice Whip is available too. Soy Free? Substitute the soy milk with rice or hemp milk. And use Rice Whip instead of Soy Whip as well. Best Vegan Cocoa? Today I used a brand I bought at Whole Foods called Lake Champlain Aztec Cocoa Mix. 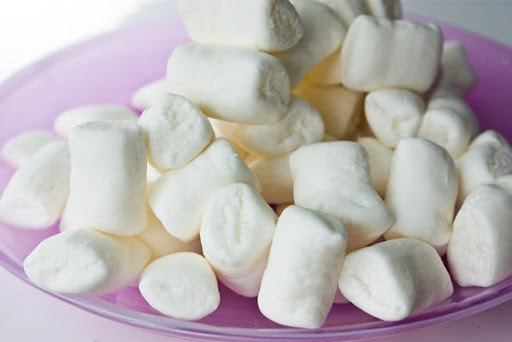 Soy or Rice Whip on top..
Another fave cocoa topping: vegan marshmallows. 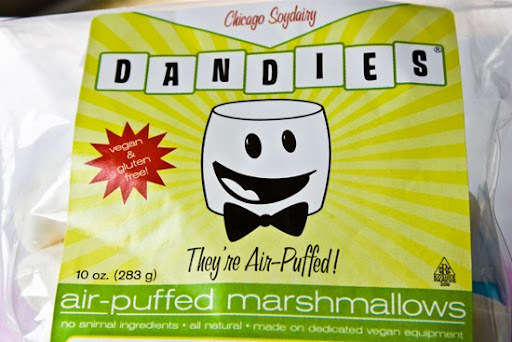 Dandies (shown below) or Sweet & Sara are my fave brands. 1. 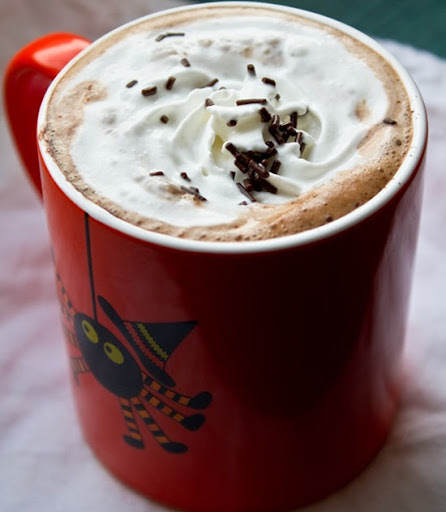 Stove top or in microwave) Heat milk in mug until steamy hot. 2. Add cocoa. Stir well. 3. Stir in coffee ingredient and a dash of cinnamon and /or cayenne. 4. 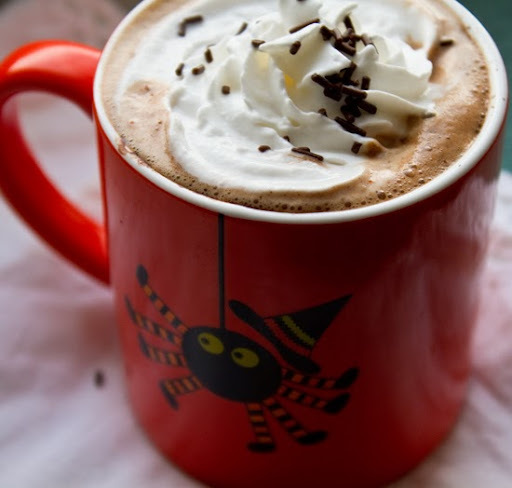 Transfer hot cocoa to a mug if you used stove top heating. 5. Swirl rice/soy cream on top. Sprinkles. Done!